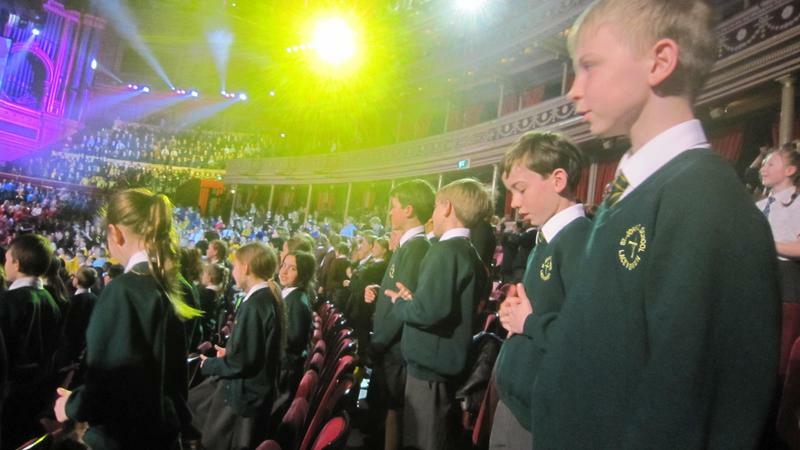 On Tuesday Evening Children from Years 5 and 6 took part in a stunning Prom Praise performance at The Royal Albert Hall. 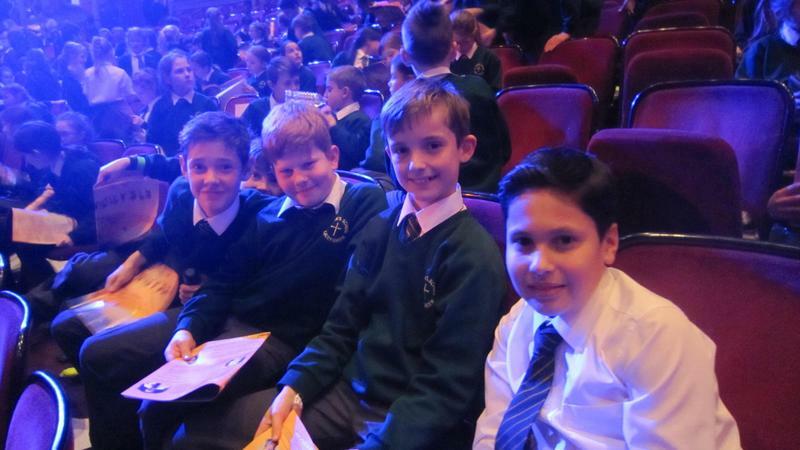 The songs for the performance had been practised during music lessons with Mrs Insley and the children arrived in the early afternoon ready for the rehearsal. 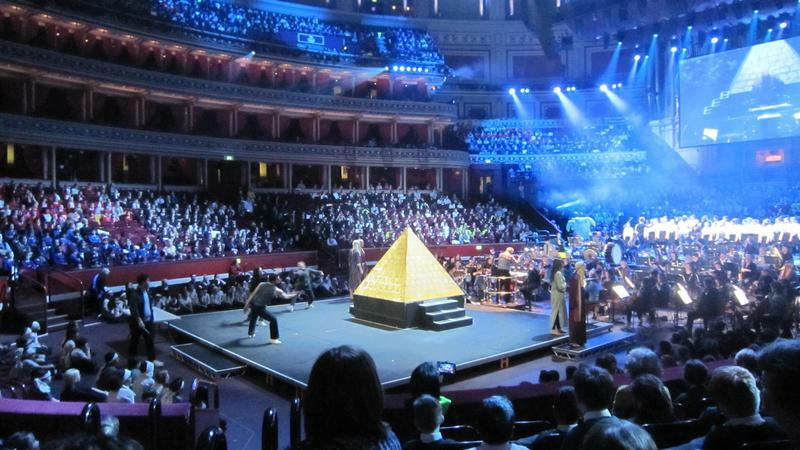 It was at this stage that the children could see how the songs fitted in to the whole performance which told the story of Moses and the Exodus. In addition to practising songs and actions, there was the manipulation of a rubber dingy (which overturned, throwing out the baby Moses in the rehearsal! ), blow up crocodiles and a turtle which represented the basket carrying the baby Moses down the River Nile! 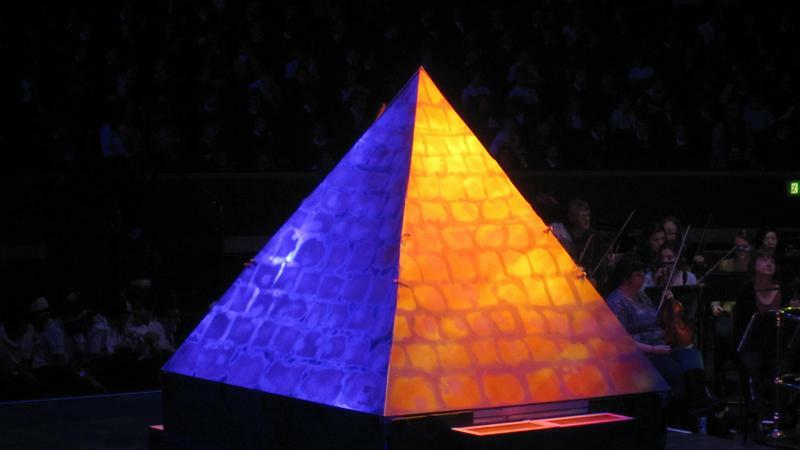 Everyone was given a piece of white card which was used, together with coloured lighting effects, to represent the Red Sea. The performance also included a Gospel Choir, dancers and singers. 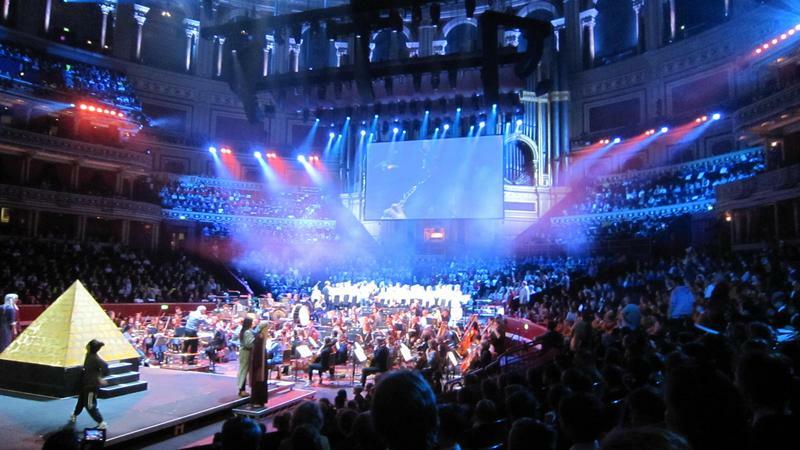 A full orchestra accompanied the singing, together with the famous Royal Albert Hall organ. After eating tea, the children began to eagerly look out for parents who were attending the event and soon we were ready to start. The whole performance was an amazing experience and all ran smoothly - even the dingy managed not to capsize during the actual performance. 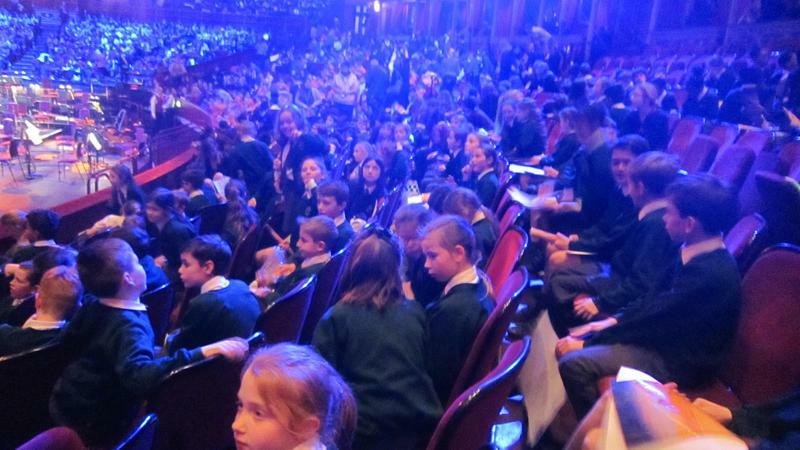 St John's children sang well and were a credit to the school. 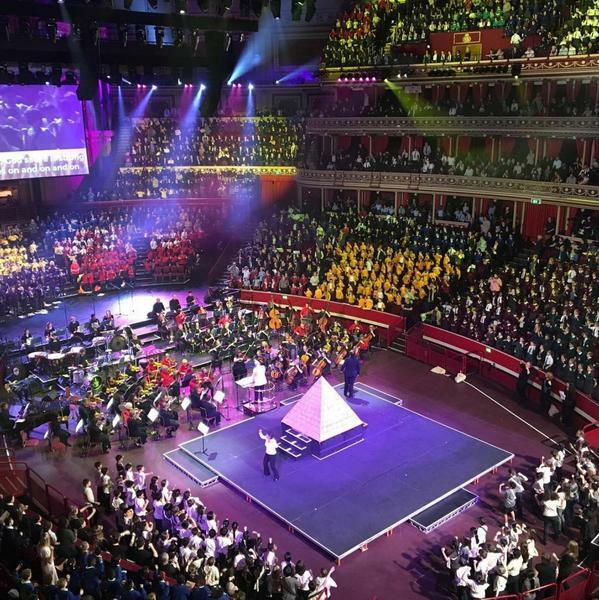 "This was an amazing experience for the children. 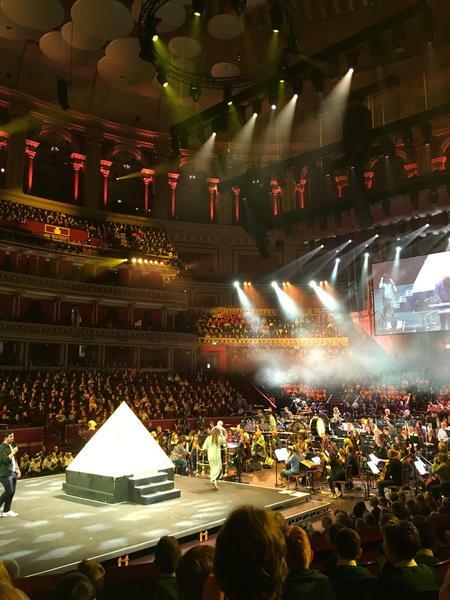 It was wonderful for them to have the opportunity to perform at such an iconic venue. 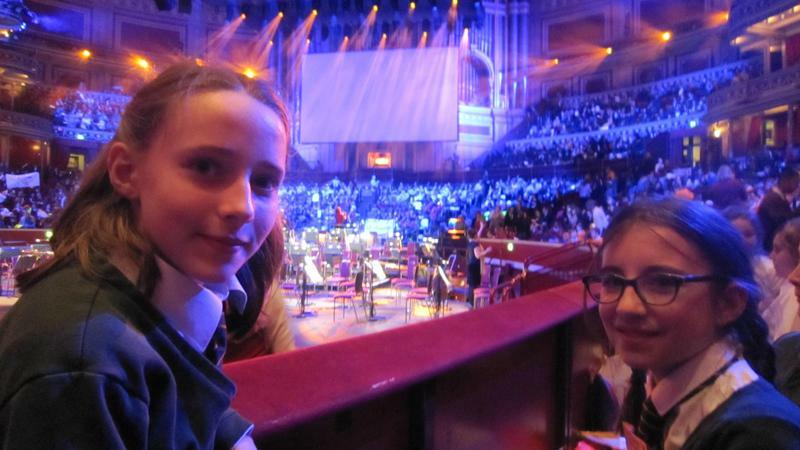 There was such a positive atmosphere, and it was fabulous to hear so many children singing together with an orchestra. Through songs, dance and mime it brought the story of the Exodus alive, helping the children experience the power and glory of God. 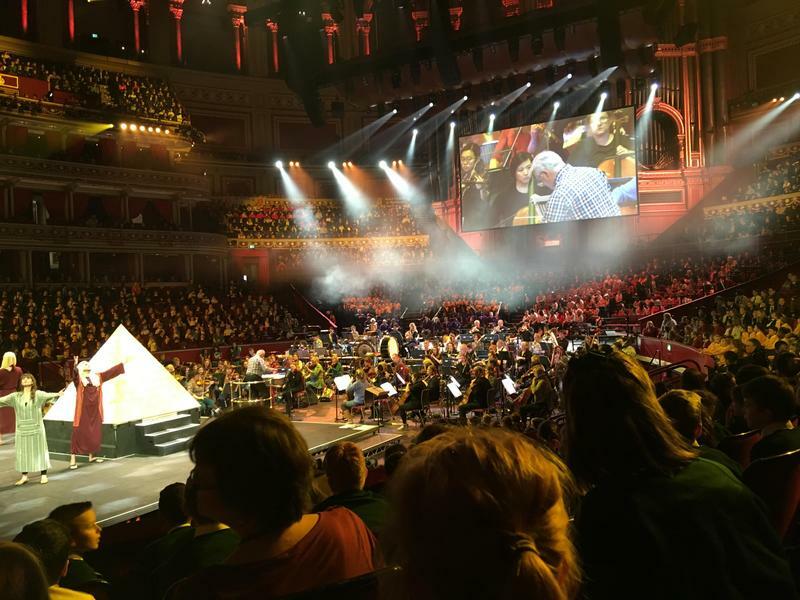 An unforgettable and uplifting experience!" 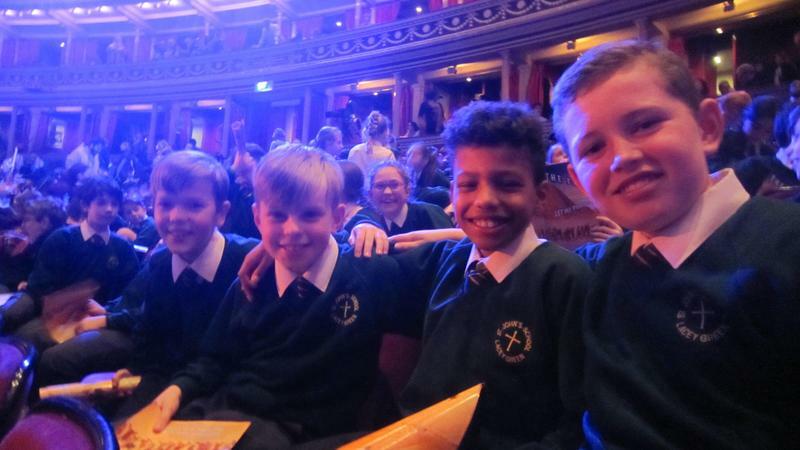 "I just wanted to say a massive thank you to all of you for the wonderful opportunity Years 5 & 6 had last Tuesday at the Royal Albert Hall. It must have meant a lot of extra work and organisation for you all so thank you again!"